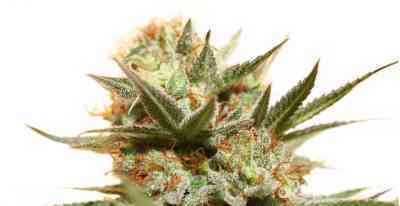 If you’re a fan of strong old-school Skunk varieties with bumper harvests then this is a perfect choice. 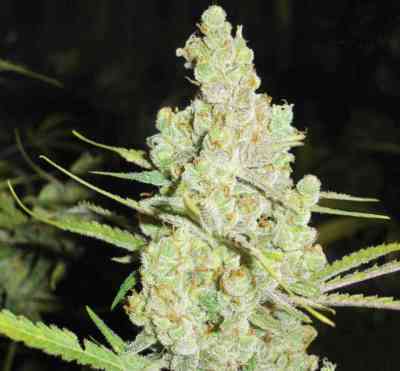 The Edge marijuana seeds make a Sativa dominant (75% Sativa, 25% Indica) plant that delivers heavy harvests of top quality cannabis with a strong Shiva aroma which will remind you of the good old days. THC levels of 17% are typical, this is a powerful variety. The Edge has a Skunk-appearance, but with slightly more stretch. The longer inter-nodal distance and multi-branching allows for extra large harvests. This variety prefers extra nutrients during vegetative growth and requires 8-9 weeks for flowering indoors, typically reaching up to 1m tall and yielding up to 500g/m². The Edge cannabis seeds will also perform Outdoors in mild climates and will finish as early as mid/late September. The Edge weed delivers a powerful and uplifting high which transitions into a strong stone. This is a robust variety which performs well even for less experienced growers and will tolerate conditions which are not always ideal. Whichever way you grow The Edge weed seeds, you should get a heavy crop of quality pot from these plants.